New Public Management has held a central position within public administration over the past few decades, complemented by various models promoting post-bureaucratic organization. But ‘traditional’ bureaucracy has not disappeared, and bureaucracy is in transition in the West and the rest of the world. Bureaucracies still fill crucial positions in modern societies, despite growing criticism of assumed inefficiencies and unlimited growth. This volume examines a range of issues related to bureaucracies in transition across Europe, with a particular focus on the Nordic region. Chapters examine a range of topics including a reinterpretation of Weber’s conception of bureaucracy; the historical development of institutions and organizational structures in Sweden and Greece; the myth of bureaucratic neutrality and the concept of ‘competent neutrality’; performance management systems; the anti-bureaucratic identities of senior civil servants; the role of experts and expertise in bureaucratic organizations; the impact of reform on public sector executives; the curbing of corruption in Scandinavian states; an interrogation of the Nordic administrative model; Supreme Audit Institutions; ‘street-level’ bureaucracy; and the establishment of an ‘ethics of office’ amongst Danish civil servants. Haldor Byrkjeflot is Professor of Sociology at University of Oslo (UiO), Norway and Academic Director of UiO:Nordic. He is currently exploring historical-comparative research, organization theory and the making and circulation of ideas across societies. Haldor has publications related to logics of employment systems, comparative healthcare reforms, public sector reforms as well as varieties of management systems and bureaucracy. 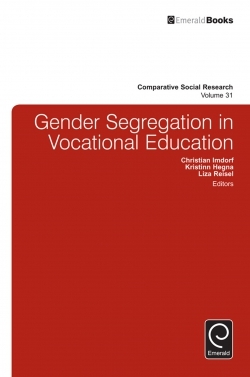 Fredrik Engelstad is Professor Emeritus of Sociology at the University of Oslo, Norway where he was Head of the Institute for Social Research (1986-2007). 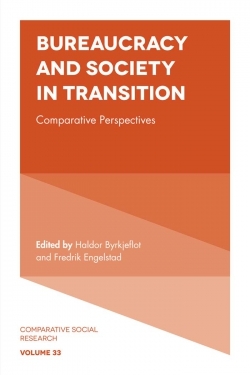 Engelstad is a Co-Editor of Power and Democracy: Critical Interventions (2004), Comparative Perspectives on Social and Political Elites (2007), and Firms, Boards and Gender Quotas: Comparative Perspectives (2012).